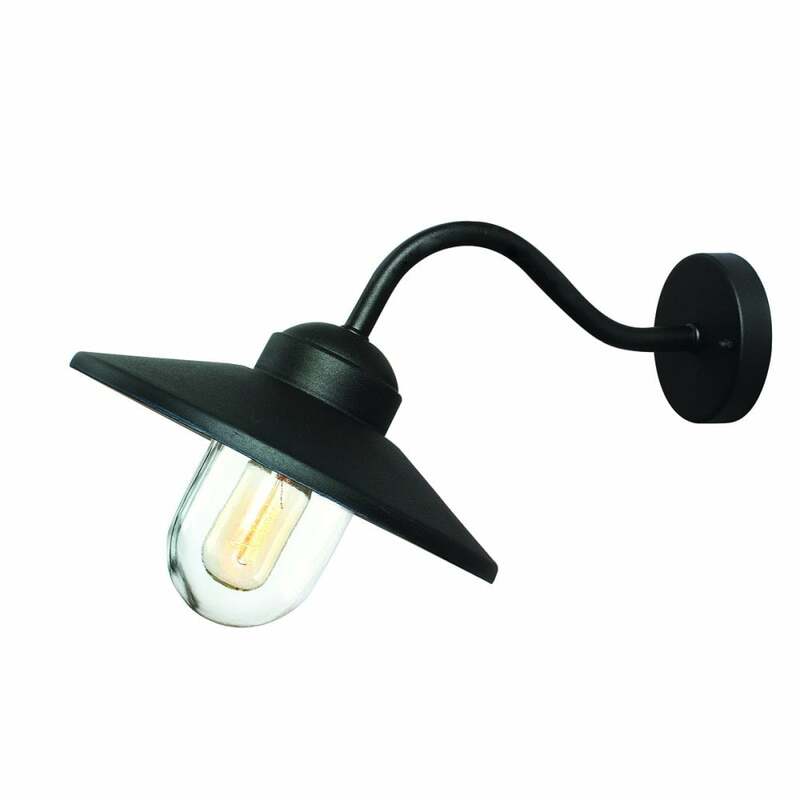 Elstead Lighting Klampenborg single light wall fitting features a classic fisherman style lantern complete with a wide-brimmed shade in a matt black finish with glass diffuser. The product code for this Elstead wall light is KLAMPENBORG BK. An attractive, modern update to a vintage design, this pendant is ideal for almost any external decor. As with all items in the versatile Scandinavian range from Elstead lighting, this fitting has a 15 year warranty against structural failure. Also available is a matching pendant which can be purchased via our website using product code: KLAMPENBORG8 BK.